Punching is done at Penn Metal Fabricators, Inc. using numerous CNC and standard punch presses. 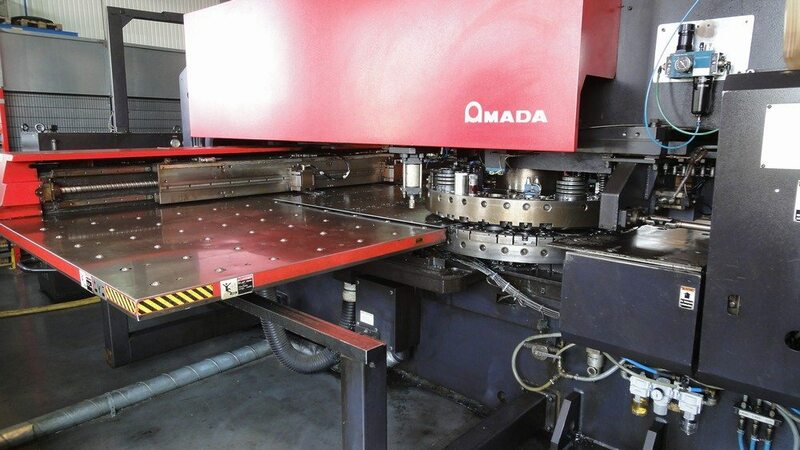 We are currently using an Amada CNC punch presses that is interfaced to the CAD/CAM system. It is an Amada Apelio II 357 CNC Punch/Laser which has a 58 station (1/2″ to 4 1/2″ 2-auto index) tool turret to punch holes, slots, etc. It also has a laser cutting head which can cut 1/2″ Steel, 3/16″ Stainless Steel, and 1/8″ aluminum in sheet sizes of 50″ x 72″. This machine is capable of holding tolerances to +/- .004″.